As Hurricane Florence raged across the coastline of Northern Carolina, 600 miles north the 174th Attack Wing Nation Guard base in Syracuse, New York was on full alert. Governor Cuomo just hung up with Defence Secretary Mattis to ready the airbase’s MQ-9’s drone force to “provide post-storm situational awareness for the on-scene commanders and emergency personnel on the ground.” Suddenly, the entire country turned to the Empire State as the epicenter for unmanned search & rescue operations. Located a few miles from the 174th is the Genius NY Accelerator. Genius boasts of the largest competition for unmanned systems in the world. Previous winners that received one million dollars, include: AutoModality and FotoKite. One of Genius’ biggest financial backers is the Empire State Development (ESD). Last month, I moderated a discussion in New York City between Sharon Rutter of the ESD, Peter Kunz of Boeing Horizon X and Victor Friedberg of FoodShot Global. These three investors spanned the gamut of early stage funders of autonomous machines. I started our discussion by asking if they think New York is poised to take a leading role in shaping the future of automation. 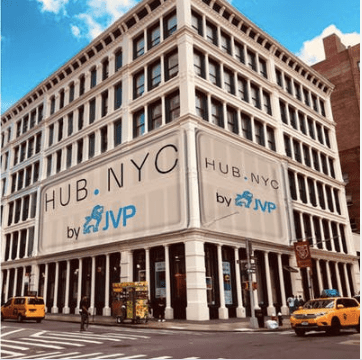 While Kunz and Friedberg shared their own perspectives as corporate and social impact investors accordingly, Rutter singled out one audience participant in particular as representing the future of New York’s innovation venture scene. ff’s commitment is not an isolated example across the Big Apple but part of a growing invigorated community of venture capitalists, academics, inventors, and government sponsors. In a few weeks, New York City Economic Development Corporation (NYCEDC) will officially announce the winner of a $30 million investment grant to boost the city’s cybersecurity ecosystem. 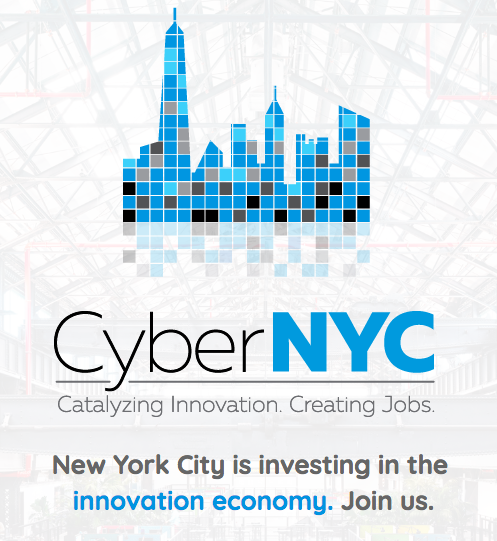 CyberNYC will include a new startup accelerator, city-wide programming, educational curricula, up-skilling/job placement, and a funding network for home-grown ventures. As NYCEDC President and CEO James Patchett explains, “The de Blasio Administration is investing in cybersecurity to both fuel innovation, and to create new, accessible pathways to jobs in the industry. We’re looking for big-thinking proposals to help us become the global capital of cybersecurity and to create thousands of good jobs for New Yorkers.” The Mayor’s office projects that its initiative will create 100,000 new jobs over the next ten years, enabling NYC to fully maximize the opportunities of an autonomous world. Looking past the skyscrapers, I reflect on Margalit’s image of New York as a “Gateway” to the future of autonomy. Today, the wheel of New York City is turning into a powerful hub, connected throughout America’s academic corridor and beyond, with spokes shooting in from Boston, Pittsburgh, Philadelphia, Washington DC, Silicon Valley, Europe, Asia and Israel. The Excelsior State is pulsing with entrepreneurial energy fostered by the partnerships of government, venture capital, academia and industry. As ff VC’s newest venture partner, I personally am excited to play a pivotal role in helping them harness the power of acceleration for the benefit of my city and, quite possibly, the world. Come learn how New York’s Retail industry is utilizing robots to drive sales at the next RobotLab on “Retail Robotics” with Pano Anthos of XRC Labs and Ken Pilot, formerly President of Gap on October 17th, RSVP today.